Sister Cities of Houston Soccer Tournament returned in 2015! On January, 31st and February 7th, 2015, the Sister Cities of Houston organized their annual Amateur Soccer Tournament aimed at increasing global cooperation at the municipal level and promote cultural understanding. This year’s tournament was held at Cullen Park. Mrs. Irada Akhoundova, CEO of the Azerbaijan Center and President of Houston-Baku sister City Association was part of the SCH Soccer Tournament Organizing Committee along with other Sister Cities of Houston members Mrs. Teresa Yates, Mrs. Sandy Phan and Mr. Jamal Bafagih. 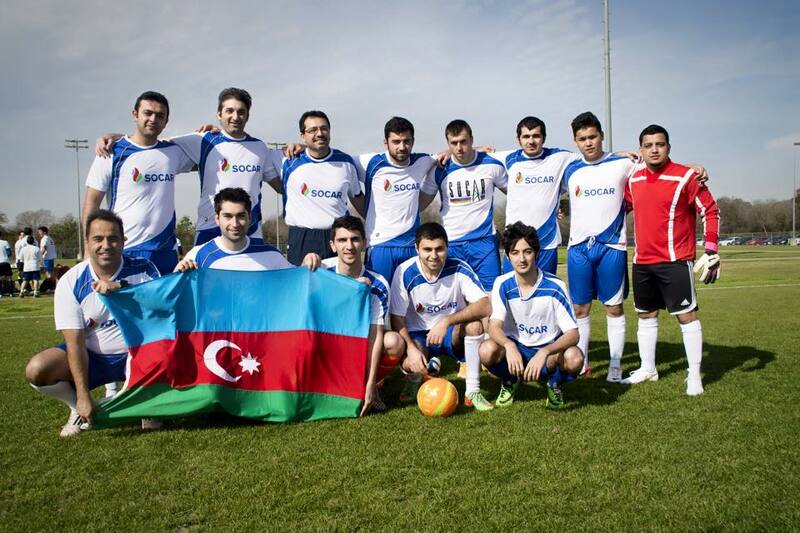 Houston-Baku Sister City Association (SCA) with the support of the Azerbaijan Center and its sponsor the State Oil Company of Azerbaijan Republic (SOCAR) participated in this tournament along with 7 other teams. This year, the annual tournament counted with teams of Houston-Huelva SCA, Houston-Abu-Dhabi SCA, Houston-Istanbul SCA, Houston-Chiba SCA, Houston-Tampico SCA, Houston Methodist Hospital International Department and Egypt. Egypt team won the 1st place of the tournament and Houston-Chiba SCA won the second place. We would like to extend our sincere thanks to the players of the Baku-AZ team for their participation and energy. Many thanks also to all the organizers, participants, referees, volunteers, the Houston Office of Protocol and International Affairs from Houston Mayor’s Offic and the Sister Cities of Houston board for their support in this project. To learn more about the Sister Cities of Houston, click here.